Many words have been written about people's preferences for chocolate or vanilla. The superiority of one versus the other is often debated. You can even take a quiz to determine what type of personality you are, based on your favorite flavor! So, which is better? Growing up, I scorned both. They seemed much too common for my taste! Trips to the Dairy Queen had me deliberating between the flavors of butter pecan, maple walnut, caramel, and all the enticing possibilities on the menu. Years later, while I still like variety, I now appreciate the merits of rich chocolate and aromatic vanilla. I really couldn't say which I like better. This cake made both chocolate and vanilla lovers happy! Perhaps there is no reason for debate - not when you can "have your (chocolate and vanilla) cake, and eat it too"! Chocolate or Vanilla? Which one gets your vote? *10/4/14 NOTE: The link to the article mentioned does not currently work, as the site it was published on is no longer in existence. I apologize for this inconvenience, and if it is republished I will update the link it is now published here: How to Make a Cake for Both Chocolate and Vanilla Lovers. One of my notepads lists some ways we should live more and live less. Inspired by this message on Friday, March 28th, 2014 I wrote a post about "Words to Live By." I decided to make weekly updates to this post, until I start repeating myself! I promise each weekly update will contain more information than just the five new phrases though! Readers are invited to use the comment section below, if they have new ideas of "words to live by" which would complete the phrase _____________ more. ______________ less." We are a ‘throw-away and buy what we need’ society. We can save money and reduce waste in our landfills though, if we try to re-use some of what we have, instead of always buying new. Before I throw an item away, I consider whether it can be reused or used in a different way. It is easy to be lured by advertising (and even blog posts!) to feel a need to rush out and purchase something. Perhaps we should try to think first about whether we have something that might make the purchase unnecessary. 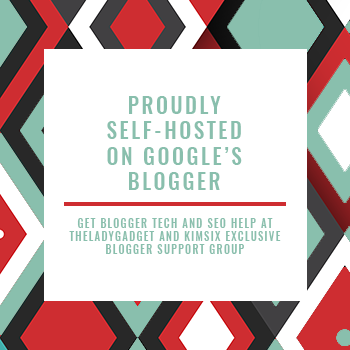 On the Wonderful Wednesday Blog Hop, hosted by Organizer By Day, a re-purpose tip was provided by Sinea at Ducks 'n a Row. She suggested using a little plastic tub as a drawer organizer in a pinch. This works well, as do small narrow boxes like the bottom of the ones velvet cheese comes in. Another idea is to wash plastic food containers and use them to store other items. I taped the labels from the original packaging of the contents onto these repurposed plastic jars. Stored on my pantry shelves, I can easily tell what is in them. 2. Zumba more. Downward dog less. This tip is from Lana at Two teens and Their Mama, who says she loves Zumba - but doesn't like Yoga! This tip (one we can probably all work harder at achieving) is from Winnie at Winnie's Inky Fingers. 4. Eat more Fruit and vegetables. Eat less meat. Anonymous suggested on 4/4/14 that this could help us feel healthier and be happy knowing we are helping the planet! One way to do this is to observe the tradition of "Meatless Monday". Could our photography actually be interfering with our experience? I encourage you to go to the NPR link, and see what you think. I'm trying to live more, not less. How about you? To view ideas from previous posts please click on the page tab “Words to Live By: More and Less” at the top of this blog . The list has grown too large to include here! This notepad is from the Eccolo World Traveler "Lofty Thinking" collection. The author of the words is unknown. When your kids are pushing your buttons, it may be because you are pushing theirs. One morning last week, the pace of getting ready for the day was a bit hectic at our house. My husband had left early for work - but my son had gotten up later than usual, and so had I. A breakfast bar isn't a substantial breakfast, but at least it is something! That really pushed my buttons. For a second, I was mad. Really mad. I was trying to help, and this is how he speaks to me?! What right did he have to use that tone? Then, I had an ah-ha sort of moment. What else was there for him to do? I had been pushing him right into a corner, and he had to make me stop. My comments were said as much for my own benefit (to make myself feel like I was being a good mom), as they were to be useful. My son didn't need my help to get out the door to school - in fact, I really was just interfering and inhibiting him from finishing up the things he had to do. My husband has been pointing out for a while that maybe I need to ease up on the parenting thing a bit. Time to stop micromanaging a competent 16 year old. I suddenly realized he was right. I still have a need to mother my teenagers, but they don't require as much mothering from me. My moment of awareness actually helped me to realize that this is okay. There will be situations when they still need my guidance and advice, but it is time to let them show me my input isn't necessary most of the time. My role now is to be there when my kids need me, but to try to be better at fading into the background when they do not. When our kids (no matter how old they are) start to push our buttons, it can be worthwhile to consider that maybe, just maybe, it is because we are pushing theirs! From the day they are born, we strive to help our children achieve independence. Getting there is a victory for them - no matter how bitter-sweet for us. Oh, and that exam I mentioned earlier. It went just fine. The Caged Bird Sang - and Flew Free. Farewell Maya Angelou. I just learned that Maya Angelou died this morning, at the age of 86. Our slightly dog-eared copy of this book by Maya Angelou. A survivor of childhood violence. An activist, and an advocate for tolerance and peace. A silenced child, whose adult voice was both eloquent and unforgettable. A writer of words that have been quoted and read by many. I never had the privilege of meeting Ms. Angelou, but many of us know all of the above about her. I'm sure those who were her friends and family would make this list of accolades much longer. You have left our world a better place. Thank you for your fine words and the role model you have been. We will miss you. 1. If deer are abundant where you live, you might try planting some iris. The deer and I have a love/hate relationship. I enjoy seeing them, and I understand that this land was their home before it was mine. It frustrates me, though, that they think everything I plant is a salad bar, put out for them to consume. I wish they would just eat the weeds! I have learned, however, that while they will try anything, deer do not seem to like iris. Iris in my garden. Deer demolished my tulips, but left these alone. Every few years I have divided and replanted mine, so there is an abundance on our property. (Ok - to be truthful, they should be divided every few years - I've probably only done it about every five.) They would truly be the perfect flower, if only they bloomed all summer! my father-in-law bought an i-phone and learned to text his grandkids. 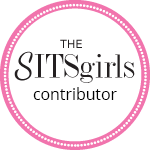 my mother just started following this blog on bloglovin’! Technology has exploded since they were young, but many older adults have kept up! 3. Freeze leftover tomato paste for later use. Do you have any recipes that call for just a tablespoon or two of tomato paste? (My favorite spaghetti sauce does). Even a small can (6 oz.) holds about eight tablespoons, so the whole amount is rarely needed. store these individual portions in a container in the freezer. This way, none goes to waste and you have pre-measured amounts, ready for when you need it next. The frozen paste can usually be added directly into the recipe you are cooking, without being thawed. Tomato paste: pre-measured blobs ready to be frozen for later use. See the smears on the window? Okay - confession time again. My windows were unusually smudge-free this morning. I employed the dog so I could take this photo - by smearing a dab of peanut butter on the window! If that's not a testament to how well a microfiber cloth works, I don't know what is. Now I have a clean window again - and a very confused dog! 5. I had a different recipe in mind to include here, until I read my bloglovin’ feed today. My original idea will have to wait for another week, as I am too excited about this ice cream recipe I came across! I just have to share this link for Strawberry Rhubarb Ice Cream from Amanda's blog, A Cookie Named Desire. I haven't made it yet - but I will be - and I already can tell I won't be disappointed! It sounds so yummy. My rhubarb plants (which I still need to move to an area with more hours of sunlight!) might even have produced enough rhubarb stalks to make this recipe! While you are waiting for the ice cream to churn, take a peek at Amanda's other recipes. Her blog make you hungry! My pathetic rhubarb plants - in an area that gets too much shade. 6. I was thinking about a movie I saw a few months ago, as I came in from doing yard work yesterday. Not because of the plot, but because of my appearance! Appearances aren't everything though. (My landscaping is now as neat as I was dirty - at least the part of it that we got done!) Performances by McConaughey and his co-stars in the film were outstanding. This coming-of-age drama is rated PG-13 and I found it highly entertaining. Apparently I'm not the only one. It got a 98% rating by Rotten Tomatoes. 7. Have you read the book “The Guernsey Literary and Potato Peel Pie Society,” co-authored by Mary Ann Shaffer and her niece Annie Barrows? It is on my all-time favorites list. Written as a series of letters, it took about 20 or 30 pages for this book to completely engage me, but once I caught the rhythm of the characters and their exchanges, I was hooked. The setting is the island of Guernsey, one of the channel islands - owned by Britain, but closer to France than England. The time period is during the German Occupation. The title of the book will make sense, once you have read the book! Such an enticing thought - books seeking out their perfect readers! Sadly, Mary Ann Shaffer died before the novel was published, but I think she would be very pleased by how many readers it has touched. Memorial Day: Remembering Lives and Time Spent for Us. The rights and privileges of living in a free country are the result of the sacrifice of many moments. Lynne Cobb clearly explains this, in her article What is the Ultimate Sacrifice? My friend Lana linked this article in her blog post on Saturday. Lana encouraged her readers to take a minute this weekend to remember, and think about the meaning of Memorial Day. Memorial Day, according to the United States Office of Public and Intergovernmental Affairs, “commemorates the men and women who died while in the military service.” As Lynne suggests, it seems fitting to also honor everyone who has sacrificed (or is currently sacrificing) time from their lives for Americans and our country. This includes family and friends who have spent time separated from their military loved ones. Not wasting time and making our “moments count,” according to Lynne, is a way of thanking and honoring the people who have been instrumental in our freedom. Memorial Day seems to be a good time to do just that. Reading Lynne's moving article is time well spent. 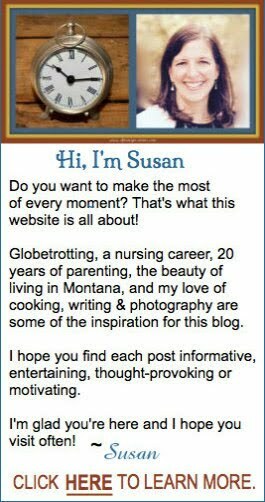 Then I suggest heading on over to Lana's blog, Two Teens and Their Mama, and browsing there a bit. It is one of my favorite blogs to read. I also humbly suggest that you might find some inspiration here - as making “the most - - of every moment” is what this blog is all about. I am not the most red-blooded American you will ever meet. Born in Canada, I never even lived in the US until I was 17, though I haven't called Canada home since I became an adult. I have dual citizenship because my mother is an American, and I grew up always proud to be a Canadian-American. I am equally moved when either anthem plays, and I have always valued my “mixed-breed” status. Today, though, as I watch our American flag waving in the breeze, I am as grateful as any full-blooded American for the sacrifice of time and life it represents. If there is someone special you remember or honor this weekend, I invite you to mention them in a comment below. I had such high expectations for this weekend. I was thinking that by the end of today we would have laid all of our mulch. In hindsight, my goals were a little lofty. Will I never learn that projects always take much longer than we think they will? Even when expectations are reasonable - which mine were not! 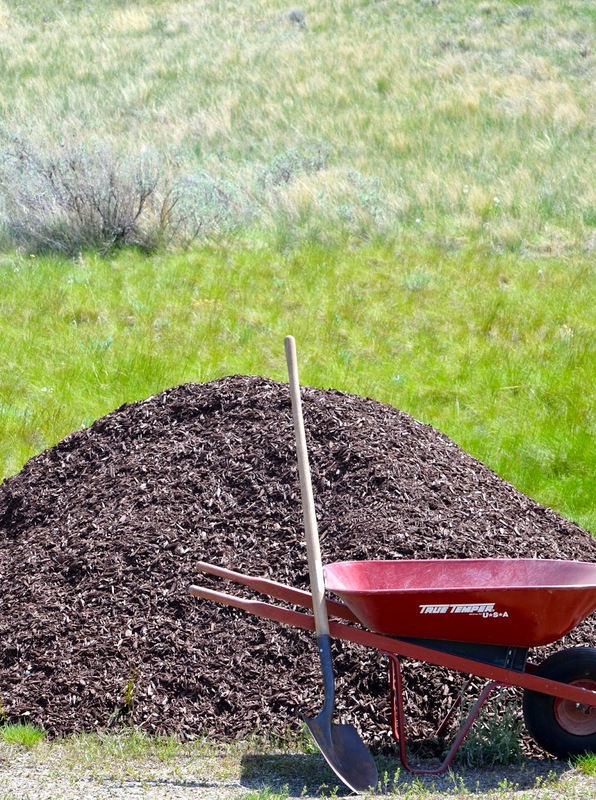 until you start hauling wheelbarrows full! Looking exactly like it did when it was dumped there on Friday. Fortunately, the prep work turned out to be the hard part, and over the next three hours we got quite a bit done. The pile is smaller. We have made progress. Not even close to finished, as I had dreamed we would be - but getting there. Good thing tomorrow is another day. Do your projects take longer than you expect them? Have you ever finished a project as quickly as you expected to? I spent most of today weeding. Our summer-like weather gradually cooled as the afternoon progressed. Black storm clouds appeared to the south and got closer - and blacker. Pelting rain arrived and I became soaked, but I was intent on my task. Then, thunder boomed and I picked up my tools and went back to the house. My husband and son joined me. As we were bringing things into the garage, it started to hail. Not surprised but quite dismayed, I said, "Look guys, it’s snowing." My husband responded, "Susan - that's hail." I was puzzled that he hadn't noticed the big fat wet flakes hitting my arms and face, and drifting softly through the air. "I know it's hailing, but it is snowing too." "Susan - those are petals." Oh. Right. I looked up and realized I was standing right beside our cherry tree, currently in full bloom. Montana never ceases to amaze me. What sort of weather are you experiencing this weekend? 1. Count our blessings more. Feel ungrateful less. This is something we probably should do every day, but this advice seems especially fitting during Memorial Day weekend in the United States. Freedom and opportunities should never be taken for granted. 2. Make friends more. Make enemies less. Right now, I'm thinking about this in the context of Memorial Day. If we all work towards better global friendships and more tolerance, wars may end ... and not get started. Political leaders of every country - please make this your mantra! 3.“Dance to our own tune”more. Conform less. 4. Vacation more. Work overtime less. While overtime-pay on a holiday weekend is a bonus, it is beneficial to try and strike a good balance between work and leisure time. 5. Sing more. Cry less. Last night I attended a lovely Senior Recital. Instead of using this event to showcase her own voice, this graduating high school senior chose to celebrate the connections she has made through music. She invited friends, mentors, her voice teacher, and her mother to sing with her. I got choked up during many of these bitter-sweet farewell duets, but my eyes are watering again remembering her heartfelt solo, “Danny Boy,” followed by “Bridge Over Troubled Water,” sung as a duet with her mom. Not really sad tears - just emotion evoked by life. Those tears are sometimes okay. Think of a mother you know, singing these lyrics (beautifully) to her daughter as she is about leave home for college. See what I mean? My children would not want to hear their tone-deaf mother singing in public, but I hope they know I sing these sentiments to them every day in my heart. To view ideas from previous posts please click on the page tab “Words to Live By” at the top of this blog . The list has grown too large to include here! How Much Does Your Pet Love You? I read an uplifting news today. A missing pet pigeon was reunited with its owner yesterday. 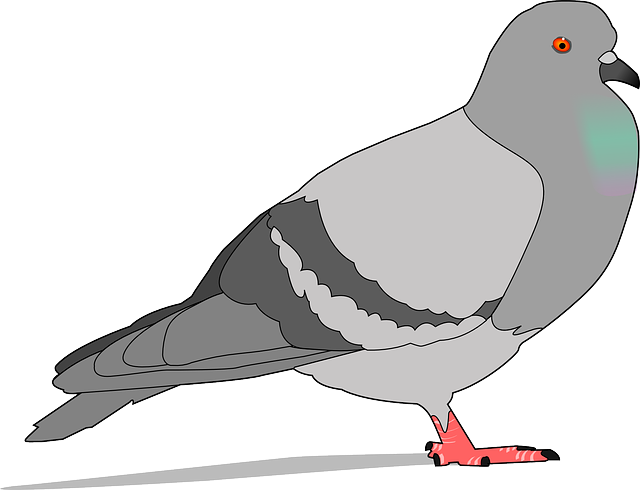 Apparently, a pigeon appeared outside an elementary school in Montana on the morning of May 21st, and began to behave disruptively. The school principal and a teacher were having trouble capturing it. They knew one of their students was a pigeon owner and asked her to help, thinking she might know of a way to catch the bird. When the girl saw the pigeon, she realized it was her pet, named Foresta, who had been missing since the day before. Foresta was 15 miles from home, and had never previously visited the school. Read the full account, by Derek Brouwer, Independent Record, here. Was this coincidence? Did the pigeon really know its owner was in the school? Was it trying to find her? We will never know for sure, but I would like to believe the pigeon had figured out this way of getting back with its owners. Our pets continually amaze us with their courage, loyalty, and intelligence. We are so lucky to have them as our friends. What has your pet done that has absolutely amazed you? Mince garlic and chop onion. Prep potatoes and broccoli. 2 decades ago, and it has seen a lot of use! Heat oil and butter in a large saucepan over medium heat. Add garlic and onion to pan; sauté over medium heat until soft. Purchased chicken stock is fine - homemade is even better. Add cubed potatoes to pan. Add potatoes first, then broccoli. Cook about 5 minutes. Then add broccoli and continue cooking, until potatoes are soft and broccoli is tender. 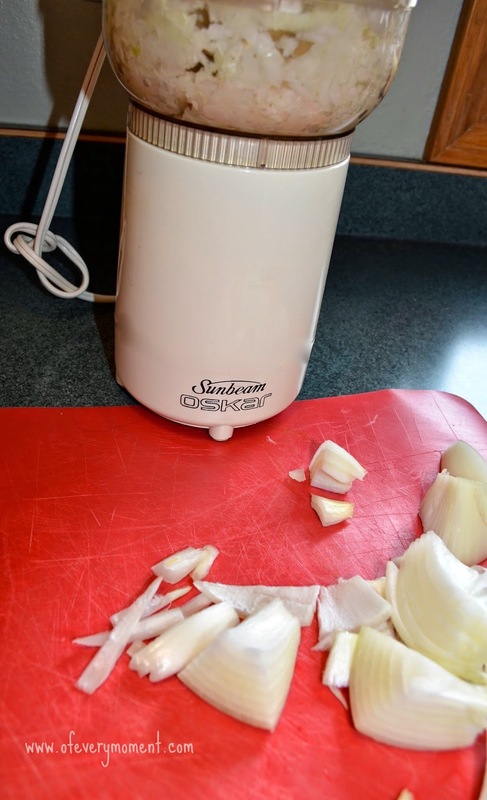 I love my immersion blender - making soups with it is so easy! Add 1 cup shredded cheddar cheese, simmer and stir until well melted. Stir in milk or cream to desired creaminess and texture. Add seasonings to taste. Garnish with shredded cheese, and serve while hot, with some crusty bread or a roll. So - there you have it. I suggest you use this recipe as a guide. I do something different each time I make it. Consider all quantities listed just as estimates, and feel free to adjust amounts and even ingredients as you prefer. This is an easy recipe - it took me longer to prepare and publish this post than it did to make the soup! What is your favorite soup? Do you have a favorite recipe? An Organized Photo Collection - I WISH! Has Spring in Montana Finally Sprung?